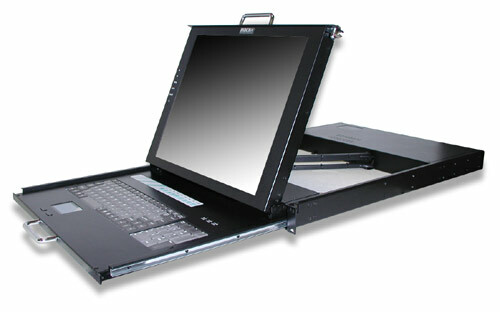 Being multi-rack compatible, Sylphit-Duo KVM drawer can be adjusted to fit deep rack configurations up to 40½ inches. 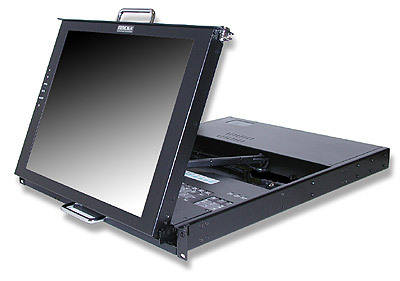 Sylphit-Duo KVM drawer's monitor is a state-of-the-art LCD device. Its active matrix screen is as vivid as a traditional desktop computer monitor or television screen. Sylphit-Duo KVM drawer's flat-panel display is made with thin film transistors which are resistant to electro-magnetism, and is protected with anti-glare tempered glass. Sylphit-Duo KVM drawer's flat-panel display are 17-inch, featuring a large 160/160 viewing angle with 300 nits high-rate brightness, and high contrast ratio 450:1, supporting resolution of 1280 x 1024.